That the Man, Jesus, surnamed the Christ (Talmage, Preface iii) is the literal Son of God the Father, Elohim; That He is a being, separate, distinct, and apart from God the Father, both of Whom have glorified, physical Resurrected Bodies of flesh and bone. As one of the weakest of those who ever were, are or who ever can be called Saints, my faith is insufficient to have beheld his face in the flesh, to have felt the imprints of the nails in his feet and hands, or to have thrust my hands in His side. There are, however, those who have. 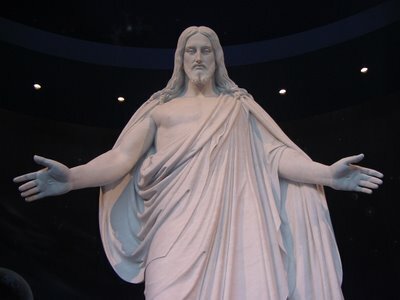 In fact there are likely thousands who have personally and physically thrust their hands in His side, and felt the prints of the nails in His hands and in His feet. Some even broke bread and ate with the Savior of the world after rising from the dead. Listed below (with great thanks to Elder Talmadge’s Jesus the Christ) is only a rough approximation of some of those who so testified from personal, physical and actual knowledge. Approximately 3079 personally saw, heard–and some felt–and bear record of the reality of Christ’s Resurrection. And, though I am not numbered among them, I have personally felt His influence, light and Spirit in my life. His was a life without sin, to balance the Eternal equation in my favor. I acknowledge I will ever fall short, despite all I can do. It is and ever will be through His Amazing Grace that I will ever have a hope of that physical witness–moving beyond faith, my belief in things hoped for but not yet seen–to a perfect knowledge. I am mindful of and eternally grateful for His infinite Sacrifice and Atonement–least understood by me. This I continue to believe. What a great post and testimony. He is a being, separate, distinct, and apart from God the Father, both of Whom have glorified, physical Resurrected Bodies of flesh and bone. AMAZING testimony and amazing site. I’m a Democrat and a Mormon. This all works out logical in MY mind but not so much with the people around me. How do you reconcile in your mind and heart that Scientists from all over the world have proven that d.n.a. of Native Indians (mormonism knows them as Lamanites) has no Jewish d.n.a. Even after trying to date it from the era Lehi allegedly left the old world for America around 600bc there is no d.n.a. to support it. Actually, lack of d.n.a. supports that the book of mormon is false. It is very sad because just Saturday the 2 mormon missionaries knocked on my door to talk about the book of mormon. Very sad they didn’t even know this and yet the men in Salt Lake send them out!! That is so many shades of ugly. 😦 Do any BYU mormon scientists try to refute this? It would be fascinating to hear how the sect possibly could refute all the worldwide evidence against it. by world-wide evidence I am refering to d.n.a. scientists evidence.